Kodak has teamed up with craft beer creator from Delaware, USA to create a beer that can be used for processing film. Photographers who also like a good beer, rejoice! 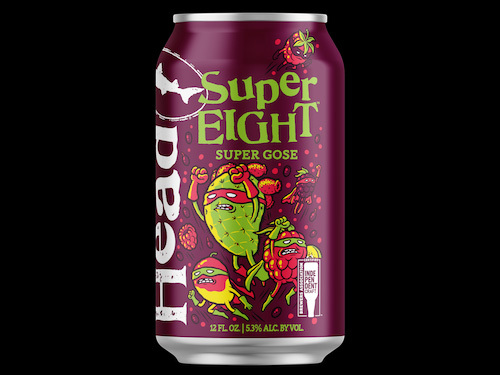 Kodak and Dogfish Head, a craft brewer from Delaware, USA, have collaborated to create a brew which can also be used to process your Super8 motion film. The beer in question is called Super Eight because of its 8 main ingredients but also because it can be used to process Super8 film. How did such a strange collaboration come about, you ask? The idea was bought to life after the founder of Dogfish Head, Sam Calagione, appeared on a Kodak podcast. Sam Calagione, Dogfish Head's founder discovered on a Kodak podcast that beers possessing high acidity levels and vitamin C can be used to process film. There was a new beer in the works that fitted the profile, and so Super Eight was born. Take a look at the video below to see a beer-processed film! A whole new meaning to saying the shot is in the can. I guess the more you drink it the better your photographs appear to the drinkers. A whole new meaning to saying the shot is in the can. I guess the more you drink it the better your photographs appear to the drinkers.